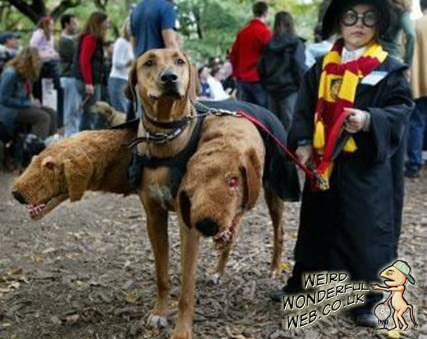 Weird Wonderful Web: Harry Potter three-headed dog costume! Normally these dressed up dogs don't look too happy in their costumes. But this one looks positively proud. Pretty good 'Fluffy the three-headed dog' costume. I suppose the kid's Harry Potter effort is okay too.